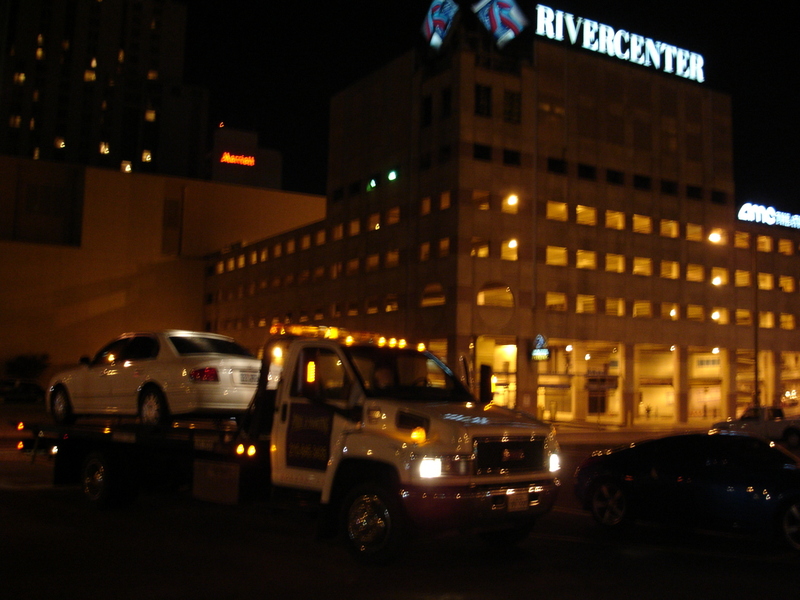 Day or Night we are here for you, providing Flatbed towing service in San Antonio. The best wrecker is a rollback also called a flatbed.. Vehicle manufacturers typically require vehicles to be flatbeded., to ensure your transmission, undercarriage and bumpers do not get damaged. 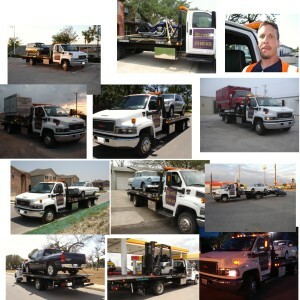 Jobs we have done in the past, flatbed towing in San Antonio (210)845-3435…. We are real, our pictures are pictures from jobs we did with our trucks, our reviews are from real satisfied customers. Quicker response usually around Potranco…, Ingram…, Marbach…, Hunt Lane…. You get more bang for your buck & your valuable property, handled in a considerate and careful manor. Fast friendly service, we know time is money and we are considerate of your time & money..
We take the time to figure out how your vehicle is supposed to be handled. We have many years of experience in safely transporting automobiles, vans, light trucks and machinery successfully.. We can do the job safely and carefully.We take pride in doing a good job for you. This towing business in San Antonio is run by an ASE certified auto mechanic with over 35 years experience in the automotive restoration, and repair industry. A business owner, with “hands on knowledge” of the services provided, is an essential piece of a strong organized well functioning business. We take pride in our work and feel honesty and hard work are important keystones to building a strong business relationship with our customers..
We use up to date capable equipment, tools, machinery and procedures, so your valuable vehicle or machinery is not subjected to various harsh treatments. Mishandling can lead to hidden damages, such as internal transmission wear or failures(towing with the wheels on the ground, see your owners manual for more specific details with regard to your vehicle! ), suspension alignment problems even uni-body frame damage! These are real concerns that you should consider when choosing who will be transporting your vehicle. Tow trucks are great powerful tools when used correctly and when used incorrectly they can literally ruin your vehicle. Reasonable charges, we work hard to keep a balance between our costs and providing you with great service, that fits into todays 2017 economy. We’re local, which helps keep our local economy humming along. (210) 845-3435 Flatbed Towing service in San Antonio., Texas……….. Closer to Sea World Richland Hills…………….., Ingram rd………………., Potranco rd………………….., Culebra……………….., Hunt lane……………………. We strive to strike a fair cost balance in order to give rates that are competitive with other tow companies., but we refuse to cut corners with regard to the quality of our equipment used to perform the necessary tasks at hand, properly maintained strong equipment is the cornerstone of any good business and as you should know, good equipment is not cheap. We know that most people realize the price should never be the sole determining factor when entrusting a valuable vehicle or piece of machinery to an automotive repair, transport or towing company. Respect, we show equal respect to all of our customers, no matter who they are.. We value all of our customers! PHIL Z Towing is gay friendly…………….., straight friendly & friendly to all people……., races, religions, sexes & political mindsets.. We care about Liberty & Freedom for everyone..! We believe freedom of choice, speech, & expression are great things.. We are a professional business, here for a sole purpose, flatbed towing your vehicle or machinery., to safely perform the service of moving your property, we are not here to judge others….